Plymouth outperforms on access to medical school, in light of the Medical Schools Council's report "Selecting for Excellence"
Today, Wednesday 10 December, sees the publication of “Selecting for Excellence”, a report compiled by the Medical Schools Council (MSC) focusing on selection methods adopted by medical schools and what they do to encourage widening participation. According to the report, nationally independent schools account for about half of all applicants to medical school courses. However, thanks to an integrated programme of engagement with state schools and so-called ‘contextualised admissions’ (where acceptance is based not just on academic achievement but also socio-economic background), 78 per cent of the most recent intake to Plymouth University Peninsula School of Medicine (PU PSM) joined from state schools across the country – placing the organisation well above the national average for facilitating access to students from the state sector. PU PSM’s performance is down to the success of its various methods to engage with potential students and ensure widening participation. In 2013/14 its Widening Access to Medical School (WAMS) team visited 60 schools and colleges across the South West. The team is made up of current students and members of staff who deliver interactive scenario-based workshops, mock interviews and presentations to pupils and their parents. As an example, WAMS works closely with Truro and Penwith College as part of its Medics Academy, running weekly workshops and offering support to write personal statements, advice on entrance exams and interview techniques. PU PSM also runs a work experience programme for Year 10 pupils and above, where they can experience life as a medical student for up to one week during the academic year. In addition, an e-mentoring scheme is available which allows potential students from year 10 and up to be mentored by a Year 1 or 2 medical student. 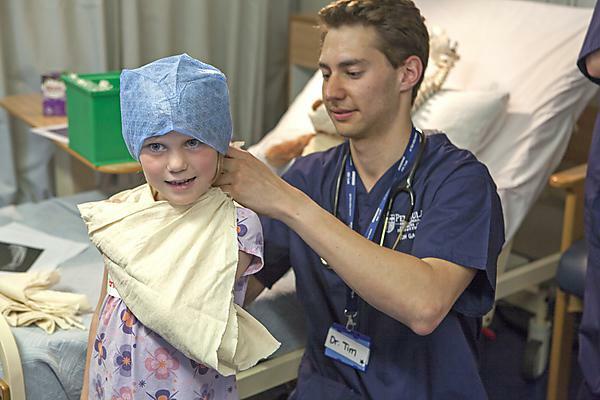 Ongoing involvement with schools is vital to ensuring wider access to study medicine. PU PSM personnel attend career fairs at schools throughout the region, and offer advice and talks on careers, provide mock interviews and arrange in-house visits. National Science and Engineering Week sees ‘SoCool for Science’, an event held over two days involving Year 9 pupils from 12 local schools who get to see and experience at first-hand what it is like to be a research scientist. PU PSM hosts Nuffield Research Placements and takes part in Plymouth University’s ‘Healthcare UniExperience’, aimed at Year 11 pupils looking to pursue a career in the health with an interest in science. Inclusion activity is carried through to interview. PU PSM has adjusted its entry criteria for applicants who have taken part in its widening access activities, and who are from low income households. This ensures that a small number of candidates who may not have been selected on their academic profile alone are given the opportunity to attend an interview. Those selected are so based on a combination of their school profile, socio-economic background and how they have engaged with widening access activities. Beyond interview they are expected to meet the same conditions as other candidates. A key element of the interview process is based on candidates’ reactions to scenarios. Often they are expected to imagine that they are a junior doctor in a certain complex situation and they are asked questions by an interview panel about how they would react. While academic results show a candidate’s intellectual ability, this interview technique highlights the sort of person they are, and the calibre of doctor they might become. This technique has been chosen by the MSC as a case study in guidance to be published in parallel with the “Selecting for Excellence” report – “A Journey to Medicine: Student Success Guidance”. One example of how the PU PSM process has worked is Year 2 medical student Christopher Gummow. Chris attended Devonport High School of Boys, where he achieved A-levels in chemistry, biology and psychology. His first contact with PU PSM was via the work experience programme, followed by engagement with the e-mentoring scheme. He supplemented this experience by carrying out work experience in a local care home. He is now one of the student leads for work experience at PU PSM.